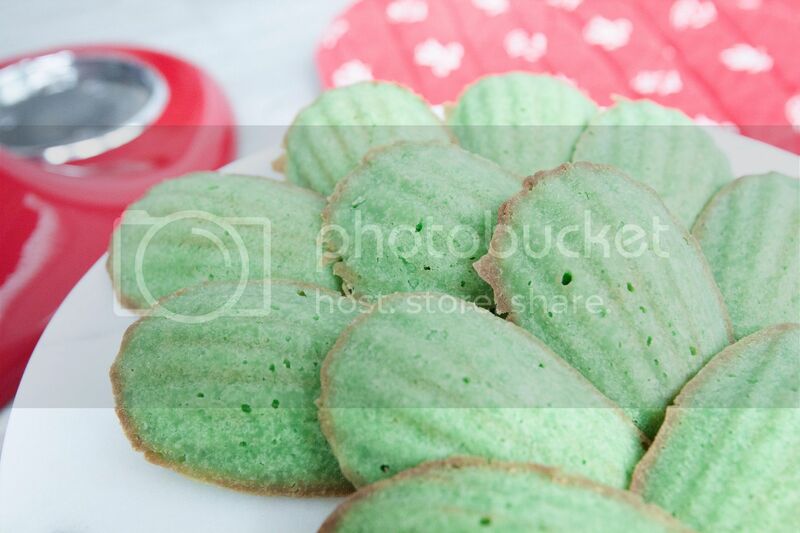 Have you ever noticed greenish colored pastries at the airport when traveling to south east Asian countries? It's not artificial coloring, but the juice/extract from pandan leaves. Taste-wise, it's like a gentle mix between fresh mint and creamy coconut milk, in a much lighter extent of course. Once you tried it, you'll know right away in the future when something was added with pandan element. Even in Taiwan, so close to its origins, fresh pandan leaves can still be very hard to come by. 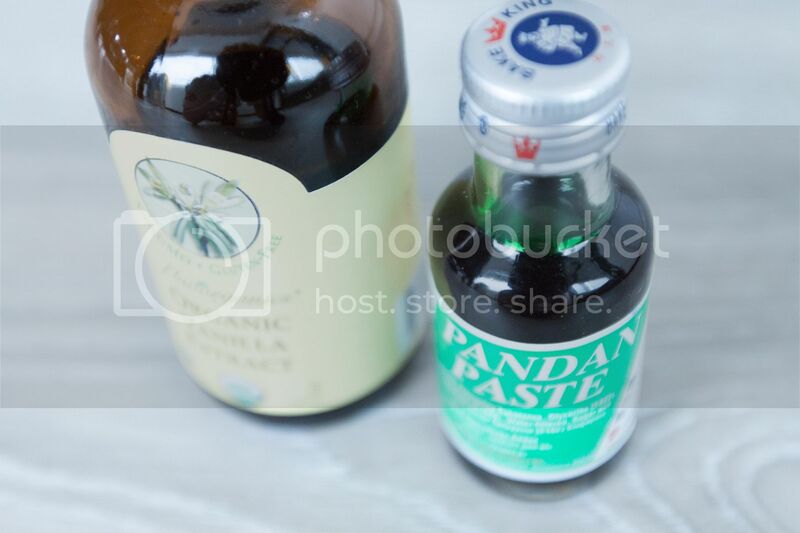 Glad I still have one bottle of gooey pandan extract at home. It works similar to vanilla extract, a few drops to the batter to bring back that comforting aroma. 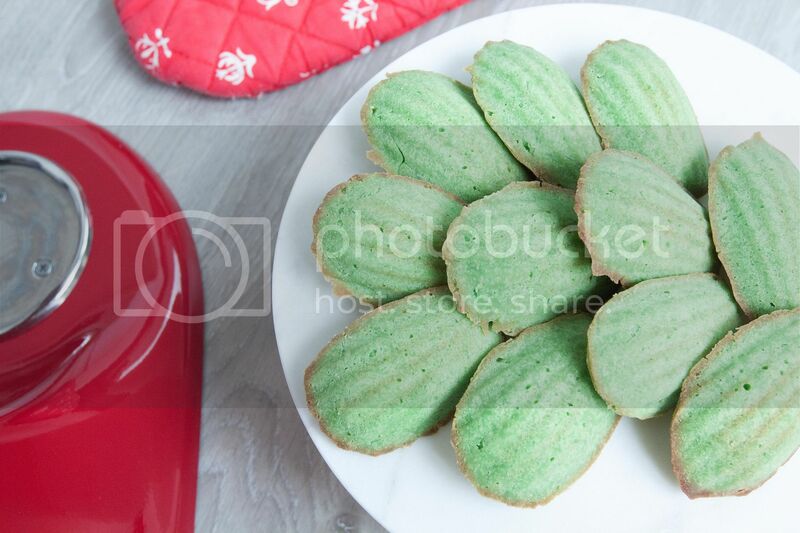 Ingredients (about 12 to 15 pieces)? Preheat the oven to 350 degrees Fahrenheit/176 degrees Celsius. Melt the butter and brush some onto the madeleine mold. Dust the mold with flour then set aside for later use. Prepare a big bowl and sift in flour, salt, and baking powder. In a mixer, beat together two eggs and sugar till thickens. Add in vanilla extract, pandan extract, coconut milk, and 110 grams of melted butter. Beat till smooth. Gently pour in the sifted powder mixture and blend again till just about incorporated. Do not over mix the batter. 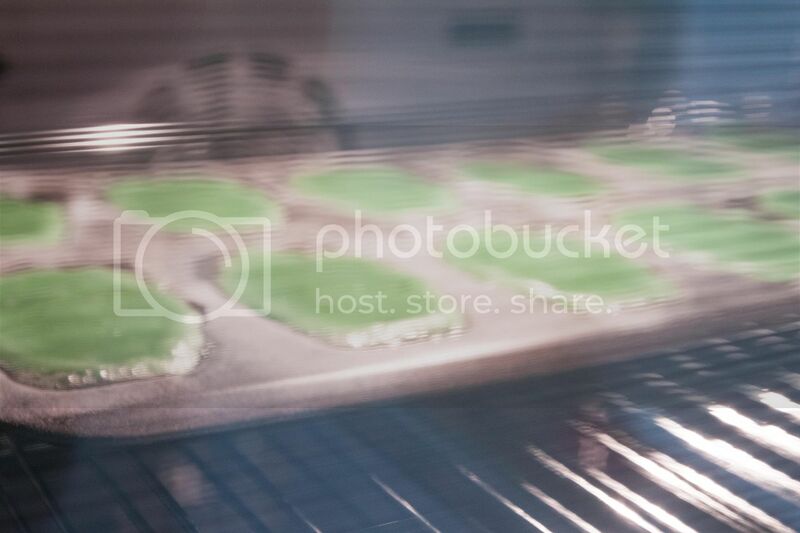 Scoop the batter to the madeleine mold and into the oven for 8 to 10 minutes. Or till the edges turn slightly browned. The batter might appear too watery during the early stage in the oven due to melted butter, but don't worry, just give it some time. Once ready, remove the entire mold from heat and let it cool for few minutes. 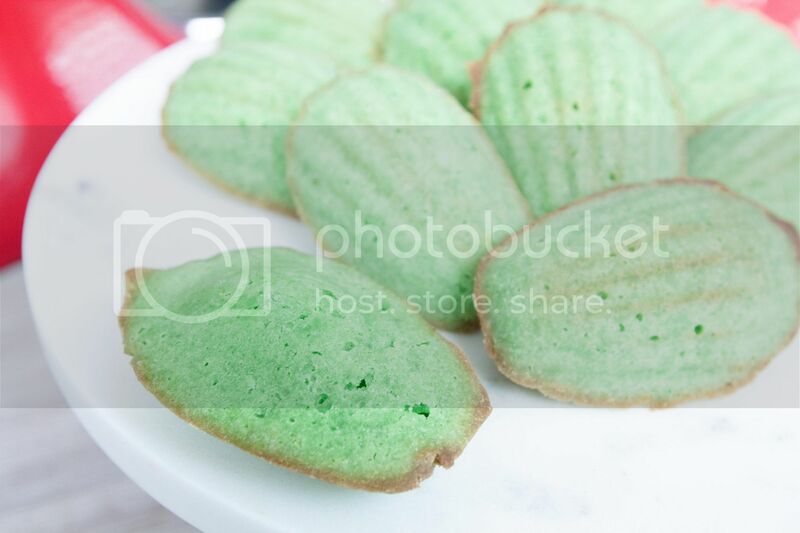 Carefully transfer the madeleines to a cooling rack and wait till completely cool down. It's hard not to eat one or two madeleines while still cooling down. 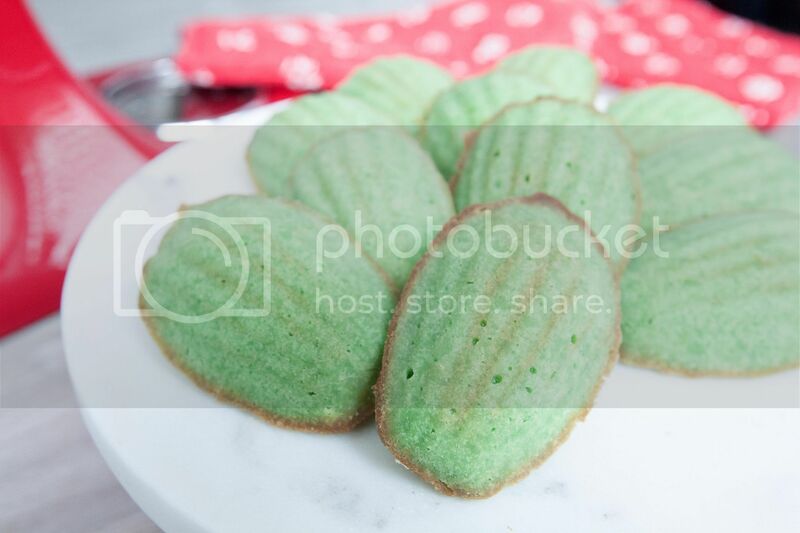 I get it, I ate two myself despite this recipes only yields about a dozen madeleines. Guess just fewer pieces left for the family. But hey, I was the one who did all the work, no judging.